Are you considering moving your IT department from in-house to a managed IT services provider? 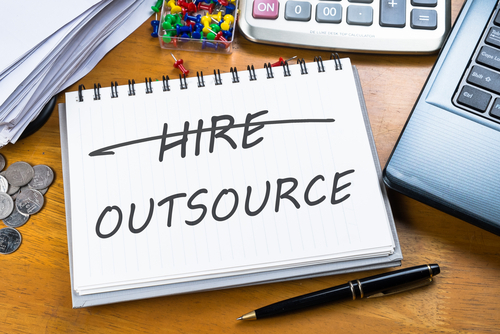 There are many benefits that come with outsourcing your IT. Here are some of the top reasons why companies move to a managed IT services model. Businesses are in the business of making money, and there are two ways to do this. One is to boost production, sales, or expand services to bring in an increased cash flow. The other is to reduce costs of day-to-day operations. A managed IT services provider can actually help on both fronts. On one hand, utilizing an outsourced managed IT services provider can mean significant cost savings for companies. They don’t have to worry about paying employee salaries, taxes, health costs, retirement plans, etc. Instead the cost is a set monthly price that is billed like other business services such as a mobile phone plan or the office internet plan. With in-house IT support there are often multiple channels that have to be taken in order to take care of specific projects such as upgrading hardware or switching internet and phone providers. It usually starts with the IT staff having to conduct research, to put together a proposal, which then has to get approved by finance. Then it goes up the chain of command until the green light is given. This often takes a lot of time and takes the in-house IT staff away from doing what they need to do - managing the IT infrastructure. With an outsourced managed IT services these types of processes are easier to do. The managed IT provider can put together a proposal, fully researched as external IT providers are constantly looking for new advancements and technological services to improve day-to-day IT operations. Meanwhile your network, hardware, and other IT components are still continuously monitored as the project proposal is put together. Of course the proposal still needs to be approved by the appropriate parties, however the process is simplified when conducted by an external IT provider. Does your company worry about its data safety? Do you work in an industry that has strict IT regulations such as healthcare or finance? Your managed IT services provider has you covered. When coming on board your managed IT provider can do a security audit of your existing infrastructure to identify areas that need to be improved. Plus they can help you select and implement software and other technologies that are pursuant to industry regulations. For example, your IT services provider may recommend Office 365 with Exchange Online as it is a HIPAA compliant cloud-based email service or AWS which also has HIPAA compliance capabilities built in.